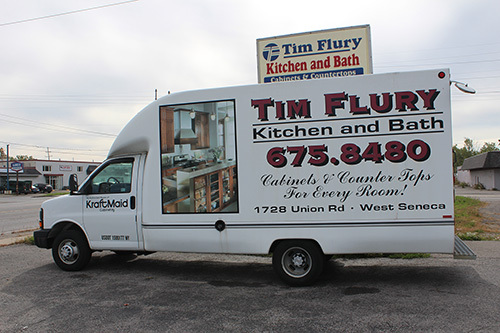 Tim Flury Kitchen and Bath has been serving Western New York since 1980. We’re locally owned and operated in the heart of West Seneca at 1728 Union Road, just north of the 400. We create beautiful, functional kitchens and bath that work with every lifestyle and budget – classic to trendy, elaborate to economical. Tim Flury Kitchen and Bath provides both new builds and remodels, always with the best value and extensive selection of products and brand names. Moen, Kohler, and Delta plumbing products and a wide range of decorative hardware are also offered. You will find it all here, including quality design services. Your dream project can be made a reality at Tim Flury Kitchen and Bath. Every idea starts with a sit-down consultation, and free in-home design. Computer renderings are provided throughout the design process. Stop in anytime and see why more than half of our business comes from referrals! For your kitchen and bath project, contact Tim Flury Kitchen and Bath at (716) 675-8480 or fill out the quick form on our contact page! 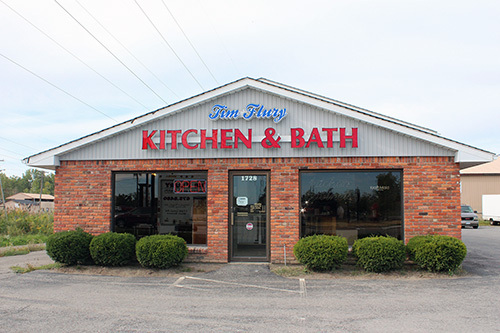 Tim Flury Kitchen and Bath offers you a team of certified kitchen and bath professionals with over 35 years of experience in the industry. We’re ready to help you design the kitchen and bath you’ve been waiting for! Our professional team will help you create beautiful spaces; our highly regarded installers and estimators provide complete project management services. The result: added value and customer satisfaction. Contact us to discuss the possibilities of bringing your dream remodel to reality.